Christmas is over, we have celebrated the New Year, and January is well and truly here. It can be tricky to get back into the swing of things after the festive season which means that January isn’t always as productive a month as it could be, which is particularly noticeable in the office. If goals aren’t being set or targets aren’t being met, your employees will become demotivated and demoralised which can spread around your office like wildfire. We have put together a quick list of a few tips and tricks to help you get back on track and beat the January Blues, whether you are a taxi firm, a manufacturer, or a digital creative agency! Read on for i3’s three main pointers to help your business shine in 2017. We recommend that you choose some New Year’s resolutions for your business this year. If you don’t have clear goals and targets in mind, your team are going to end up being less productive in the long run. Specific goals help to motivate employees as they give them something tangible to work towards, and you get a real sense of achievement when these targets are met. The number of resolutions you choose is entirely up to you, as are the actual resolutions themselves. However, it is important to remember to set goals that are realistically achievable. 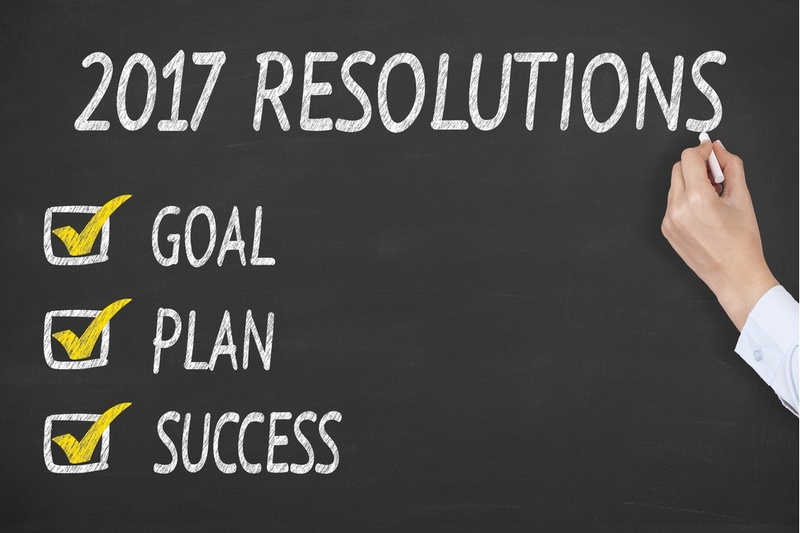 We recommend that you choose a variety of resolutions, some large-scale or long-term, and others that are more immediate. What is the one thing that you have been meaning to do for ages but keep putting off? Make a New Year’s resolution to finally get it done in 2017. As above, staying organised and up to date on everything industry relevant is absolutely essential. January is actually ‘Get Organised Month’, which is the perfect excuse to take some time out and get everything neat and orderly ready to begin the New Year with a fresh start. The key to being organised is developing a system that works for you and actually sticking to it. It may be a time-consuming and tedious task, but paperwork, admin duties, and keeping on top of emails and phone calls is all part and parcel of business life. As a digital creative agency, creativity is an integral part of everyday life for us here at i3MEDIA. However, we know that it isn’t always the easiest for many others out there. It may come as a surprise, but creativity can actually benefit your business in a number of unique ways. From encouraging lateral thinking and thinking outside the box to helping with problem-solving and finding fun ways to get the spark back into your office environment, creativity can be a real bonus. Funnily enough, January is actually also ‘Creativity Month’, too, so make the most of the opportunity and combine the two! Now is the time to step back and take a look at your business and ensure it is running exactly how you want it to for the year ahead! If you still find yourself needing some help to get everything exactly how you want it, then we can help you to realise your goals and reach your targets. From web design to social media to bespoke SEO marketing campaigns including content creation as necessary, as a digital creative agency, i3MEDIA can support your business this January.